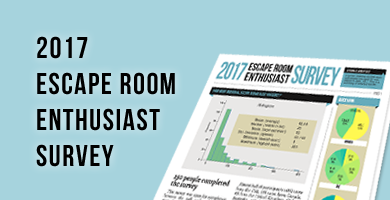 A survey targeting escape room enthusiasts was open for completion in June, 2017. Lee-Fay Low compiled the raw results into the following summary of selected results. You can also view the raw results in a google spreadsheet. Errol Elumir has played adventure games ever since they were text on screens loading from cassette tapes. He would put the number of Escape Rooms he’s played but it keeps changing so you can just check his play log. He loves clever puzzle designs and has helped run the Cryptex Hunt and Canadian Caper. 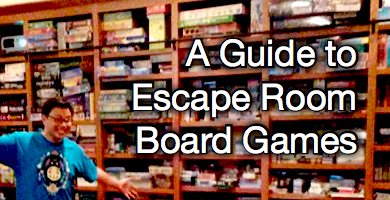 He also is one of the four co-hosts of the Room Escape Divas, a podcast dedicated to escape rooms. He is an active participant in the Escape Room community and you can find him on his twitter account. Warning: long escape room discussions may ensue. What a brilliant survey on escape rooms. Game or puzzle design is the key factor in making a game popular and interesting. It is sad to see around 155 mentions, of games failing those criteria. It is not surprising though that experienced players prefer smaller teams. A larger team leads to chaos, and most of the participants get bored easily, dampening the team spirit. The tips you have told are very useful and i was searching this type of content. I enjoyed reading your blog, thanx for sharing knowledgeable information. Excellent survey. Escape rooms are great stress-busters, team builders and family bonders. No wonder they have rapidly gained popularity. I agree with Alex Seeder in that larger teams are not ideal. About 6 people make up a good team size for best interactivity and puzzle solving. I would have, however, thought that logical deduction would be more common!